Home Technology What’s that light flashing on the dashboard? What’s that light flashing on the dashboard? When you’re waiting at the traffic lights you know what these colors mean. But sometimes something lights up on your instrument panel and you’re not entirely sure at first what it means, especially if you’re not driving your own car. 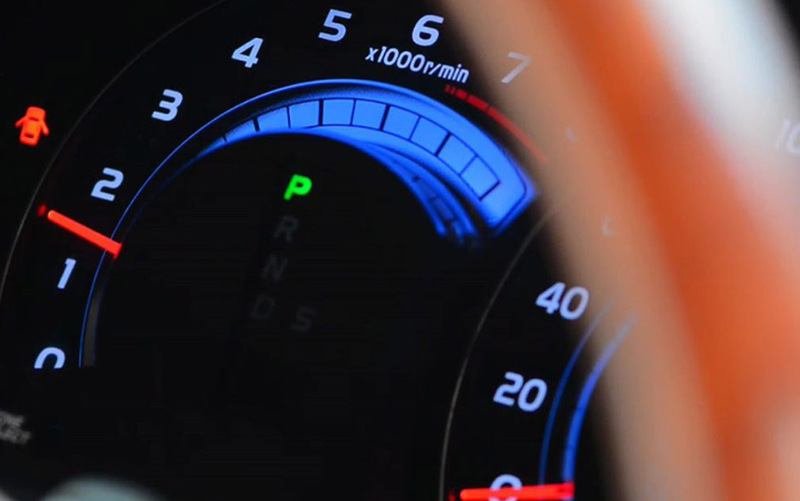 There seem to be more and more flashing symbols on the dashboard, and even though they’re standardized they don’t always make sense. But at least the colors are logical. 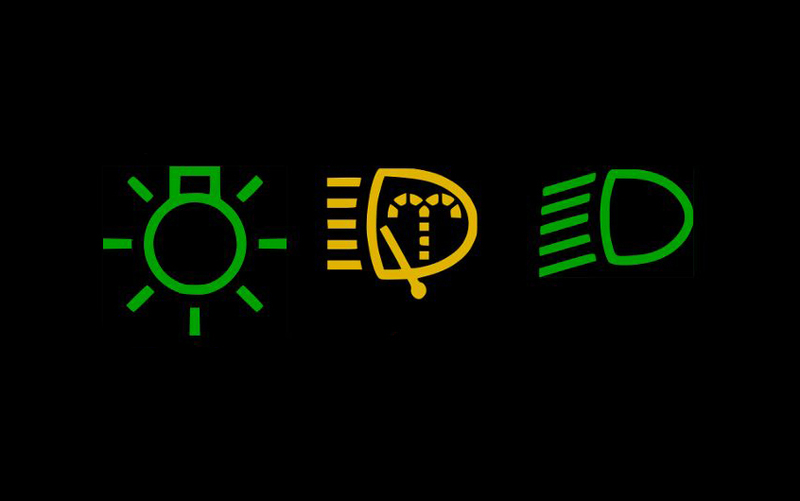 We have compiled the most important symbols that indicate the function or malfunction of car lamps. And we’ll bet you anything that you always mix up at least the rear fog lights and the front fog lights. A red light usually means stop as quickly as you can. That’s rare when it comes to lamps though; it now only applies to the red hazard light indicator. This dates back to when it was only allowed to use them for breakdowns. Amber requires greater attention because something isn’t working properly. Green lights are there for information only. The blue high beam indicator light plays a special role, simply because most drivers ignore it. We have put together the most important indicator lights, provided they have something to do with light. Quiz night, here we come. From left to right, the first three lamps mean: yes, the light is on. Often you can find the same symbol on the switch; but some cars keep quiet about the light being on and only give it away because the dashboard is lit up. The small yellow fountain in the middle means that the water in the headlight cleaning system is running low and needs to be topped up. Hence yellow. And the green lamp on the right says that you have switched on low beam. Low beam is the normal light for driving at night – that’s not always clear to everyone. Low, so there’s no glare. When it comes to the next one many drivers are confused. High beam? Fog lights? 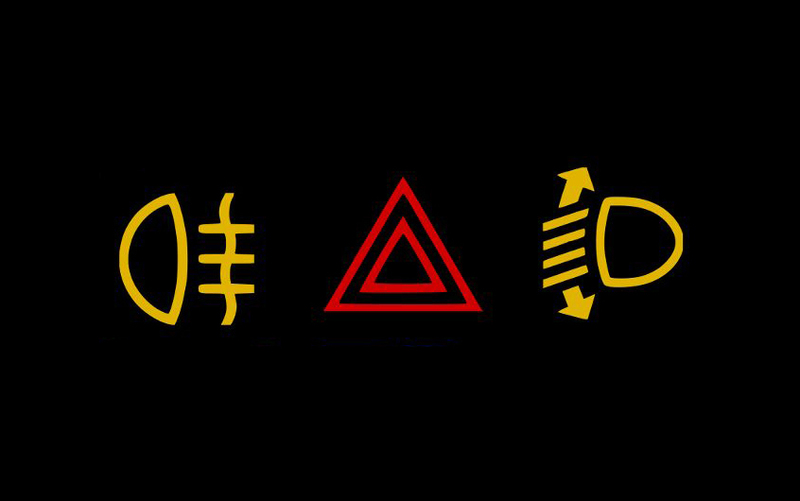 No, the yellow symbol on the left tells us that the rear fog lights are on. You know, that bright red thing at the rear of the car. If you’re driving on the highway in bad weather you’ll quickly notice that this lamp is often overlooked … The symbol in the middle for the hazard lights is probably best known; it flashes on and off and on some models alternates with both indicator lamps on the dashboard. On the far right you can see the lamp for the headlamp leveling system, if your car has one. 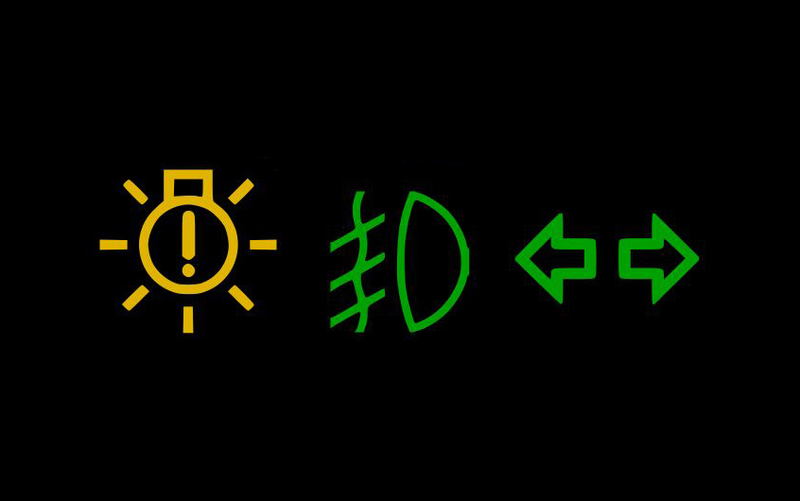 If your car is equipped with position lights, the green lamp on the left indicates that they’re switched on. Position lights are easily confused with low beam, and only the other drivers will notice in a well lit city center. Nice and blue sitting right in the middle is the high beam indicator. The blue is meant to make the lamp particularly eye-catching so that you’ll remember not to dazzle oncoming traffic. That doesn’t always work, as you’ll find especially on country roads in the autumn. If you leave your car in a place where you may want to leave a light on for whatever reason, you can switch on the left or right parking light (in most cases with the indicator lever). That’s what the green lamp on the right is for. Yellow means warning. In this case a lamp has failed. The more communicative the car, the more it tells us which lamp it is. Otherwise just walk around and have a look, not only for the annoying warning light to go away, but also so that other road users can actually see you. 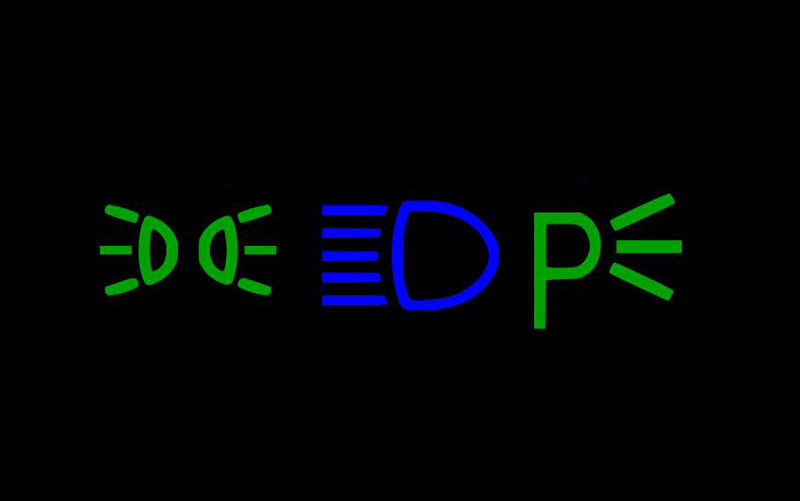 The green symbol in the middle is the front equivalent of the rear fog lights. Front fog lights are shown in green because unlike rear fog lights they don’t dazzle fellow road users. The last lamp symbol is the indicator arrows, which are shown either in the shape of double arrows or one arrow pointing to the left and one to the right, depending on what car you have. One thing all warning and information lamps in a car have in common is that they require your attention. Otherwise you’d either annoy other road users around you or you’d even put yourself and others at risk. Now that days are long and light, why not check all lamps inside and outside the car. OSRAM has an extensive range of light sources on offer. Once autumn is upon us and the days get wet, cold and dark, you’d approach the whole lamp-changing business with much less enthusiasm than now. And since the car actually tells you, why not just listen to the lamps. And if it doesn’t tell you pay attention to oncoming cars. If they flash their lights, perhaps your little blue lamp is on? Or maybe the lamps are not on at all, not even dipped beam, and because of the bright street lights you hadn’t even noticed? Let there be light. OSRAM will be glad to help you with that. I know a few people who actually ignore the flashing lights on the dashboard. Part of me wonders if it’s because they don’t actually know what each one signifies. Besides putting you at more risk, you’re probably saving yourself money because there will be fewer problems to fix to sooner you address the problem. Thanks for explaining what each symbol means.